Shawbrook has completed a £3,000,000 working capital transaction for Altec Group, a precision engineering solutions provider based in County Durham with operations across the North of England. This facility initially comprises a £2,500,000 confidential invoice discounting line combined with a £500,000 cash flow loan. Financial Due Diligence on the transaction was conducted by Dow Schofield Watts Transaction Services. This deal follows a substantial investment from Business Growth Fund (BGF) to support the formalised buy and build strategy and organic growth of the group. Shawbrook is already familiar with the group, having provided a funding line for a subsidiary, Sigma Technologies Limited, earlier this year. 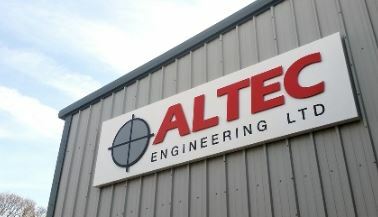 Altec Group provides full engineering contract support for mechanical and electrical engineering, CNC precision machining, special purpose machine design and build and hydraulics to a wide range of industries including Defence, Yellow Goods, Automotive, Oil & Gas, Nuclear and Renewable Energy, Aerospace, Space Science and Medical Science. The group plans to scale-up its business through further planned acquisitions and organic growth, including further expansion and investment into its Durham site and the delivery of new value-added services such as specialist coatings.